A pilgrimage is a journey or search of moral or spiritual significance. Typically, it is a journey to a shrine or other location of importance to a person's beliefs and faith. 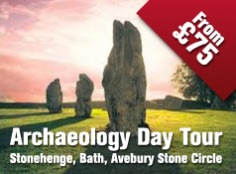 Stonehenge, Wiltshire is the most popular place for Pagans and Druids to celebrate the longest day because it famously aligns to the solstices. 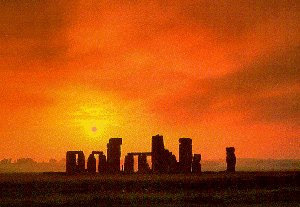 The rising sun only reaches the middle of the stones one day of the year when it shines on the central altar. 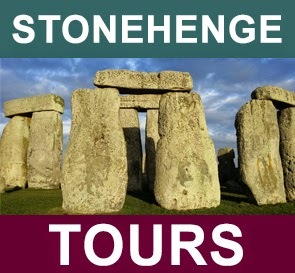 Journeying to Stonehenge at the Summer Solstice is a pilgrimage spiritual significance as a tourist or reveler. 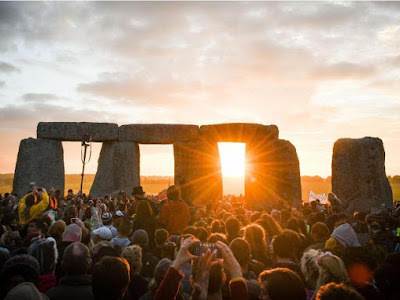 It's an ad hoc celebration that brings together England's New Age Tribes (neo-druids, neo-pagans, Wiccans) with ordinary families, tourists, travelers and party people - 1000's of them! For many the impulse to arrive at Stonehenge in time for the Solstice is a little like all those people drawn to the strange rock in Close Encounters of the Third Kind. It's akin to a spiritual experience.